Bulleit has already gained a solid reputation for its (sourced but) inexpensive and high-quality rye, and as the company did with its bourbon, it’s now pushing rye up-market. 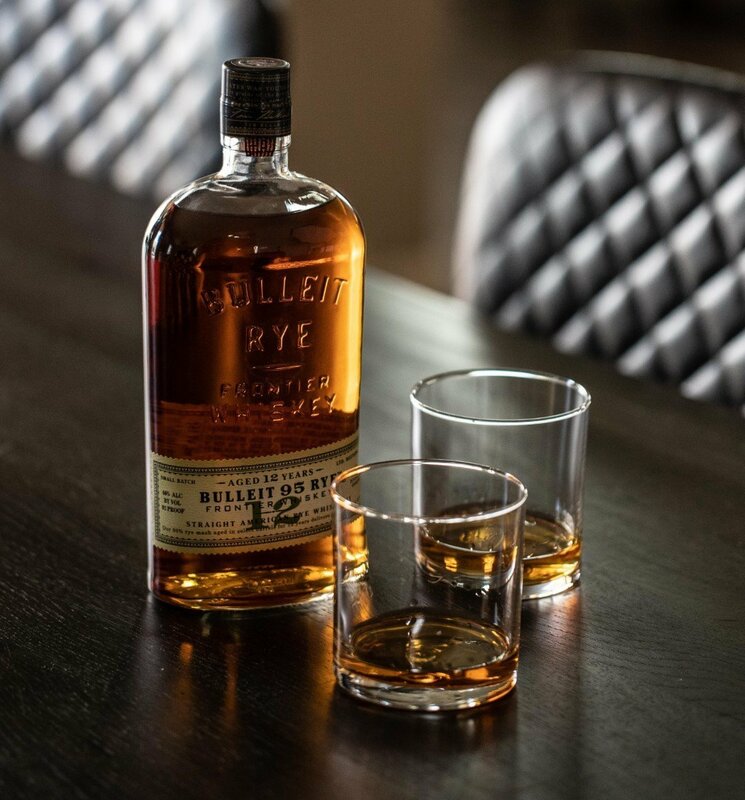 Bulleit Rye (aka Bulleit 95 Rye) is an age-statemented version of the original rye (which launched in 2011) crafted using the same 95% rye/5% barley mashbill but carrying a full 12 year old age statement, something that’s hard to come by in this day and age. The juice remains distilled at MGP in Indiana. As with Bulleit’s rack rye, the 12 year old version is a knockout. The 95% rye mashbill really makes a statement, right from the start. The nose is big and spicy, almost Christmas-like at times, with hints of mint, eucalyptus, dark chocolate, walnuts, and a lingering apple cider note (which really pumps up the holiday-ness of the nose). The aromas all work well together, and the palate continues the theme. Chocolate notes meld with a burnt toffee/sticky pudding character, with a lacing of herbs giving it a slightly savory spin. As the rye develops on the tongue, look for notes of thyme, red pepper, and sage, though the usual baking spice notes also make ample appearances. The finish is soothing, slightly peppery, but layered with just the right amount of sweetness. As with its standard rye, Bulleit has hit a home run with this 12 year old expression, and again, typical for Bulleit, it comes at a price that won’t break the bank.